“Real” and “fake” are terms du jour. Avoiding the latter and pursuing what’s “real” is important in investing as in life. Interestingly, both are governed by the realities of the world we live in. It’s open secret that our investing world is marred with slowing growth (with China, Japan, Europe leading the charge and rumblings of a US slowdown getting louder by the day). Rising trade tensions, tariffs, geopolitics, fiscal deficits, interest rates, regulation, etc. are now new realities of the foreseeable future. Pension fund shortfalls, elusive spending targets, uncertain/volatile equity markets, rising debt levels, credit quality deterioration, tightening spreads, mounting private markets’ dry powder, etc. are also equally real. Real solutions for real money, anyone? Here’s one from the real economy! Commodity markets have been in a tailspin since 2008-09 hurting all incumbents along the commodity value chain from producers to traders/merchants and shipping and logistics providers across Asia and Africa. A slowdown in global economic growth (including China’s) reduced overall demand. Therefore, the broad commodities complex, in the post global financial crisis era saw supply outstripping demand resulting in commodity prices plummeting 60%, from all-time highs on average (GAM Investments). 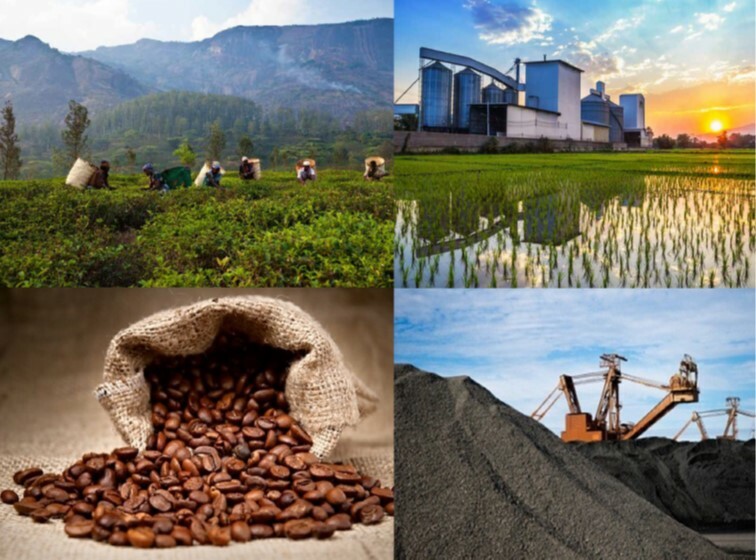 Energy, agricultural commodities and metals have suffered big losses while soft commodities (cocoa, coffee, sugar) have faced similar depression and for longer. In this sluggish environment for commodities globally, Asia stands out with over two-thirds of major commodities now produced, consumed and traded regionally, led by China (Source: International Enterprise Singapore – Oliver Wyman Report on Global Commodity Trading Hubs). As the world’s largest exporter and second largest importer, China is widely known to be a huge consumer of commodities and thus any decrease in demand can weigh down on prices hurting exporters feeding China’s requirements. China’s demand for commodities stems from its infrastructure growth plans which policy makers in China have used traditionally as a policy-tool to prop up sagging economic growth as is being speculated currently. However, from all accounts, China’s response is likely to be relatively tempered as it continues to deal with a burgeoning pile of bad debts from uneconomic ventures in the aftermath of the GFC. The recent plunge of over 25% in oil prices into bear market territory on threats of rising supplies from US and Libya with less of a dramatic pullback from Iran (due to concessions to eight importing countries), continues to narrate the saga of commodities. A strong correlation of 0.8 to equity markets (S&P GSCI to S&P 500) renders commodity markets as uncertain as equity markets. In a persisting climate of lower commodity prices with erratic support from China, small and medium (SMEs with $100 million- $2 billion revenues) operators in Asia and Africa along the natural resources value chain, find themselves caught in a downward spiral of falling margins. This creates a compelling need for them to seek organic growth and acquisitive ways to enhance value of their operations and/or capture higher margins. For traders, particularly, there is a greater need to overcome competitive pressures and shore up margins to counter declining volumes. For example, processing cocoa beans into cocoa powder or butter is more lucrative than merely trading beans. This generates a demand for capital to undertake capital intensive projects to either lower production/extraction/processing/transportation costs or enhance value by pursuing downstream activities (e.g. manufacturing/processing/ refining/smelting units) and/or upstream efforts by acquiring mines, farms, reserves, etc. On the supply side of the equation, European banks (that had the most dominant presence in Asia and also Africa, prior to the financial crisis vs. their North American counterparts) have either retrenched or shifted focus to larger corporations due to declining trade volumes (especially of goods that comprise over 80% of trade volumes) consistent with a slow global recovery and lower commodity imports by China and others. To worsen matters, in 2011, Basel III introduced an aggregate non-risk based leverage ratio (Capital divided by On and off balance sheet exposures: minimum 3%) to supplement the rules for capital requirements for risk-weighted assets. The Leverage ratio’s denominator had a Capital Conversion Factor of 100 per cent (to make off-balance sheet exposures equivalent to on- balance sheet exposures), and not the lower (20%) CCFs allowed in the estimation of risk-weighted exposures for the minimum regulatory capital requirements for credit risk of Basel II and Basel III (Source: Bank of International Settlements Treatment of Trade Finance under Basel III, 2015). This had the effect of lowering the leverage ratio and created disincentives for banks from pursuing trade finance activities (vis-à-vis general lending) that proved punitive especially due to the high operational overheads (e.g. legal, compliance, operational costs). Thus, Basel III’s restrictive capital reserve requirements against trade finance and risky assets (e.g. SME lending) also pushed them to divert their focus, leaving a deficit of $1.5 trillion in global trade finance and by extension asset-based finance for small and medium enterprises (Source: Asian Development Bank, WTO), 70% of whom, have no access to alternative financing. In Africa, only about 30% of SMEs, have access to credit from banks. Local banks have preferred to lend locally in local currencies and development financial institutions have also fallen short to bridge the gap for medium term (18-36 months) financing for the above stated needs. Lastly, banks’ proprietary desks also withdrew in the wake of the financial crisis creating an opportunity for a rapidly growing league of private creditors to fill this gap. However, lending into this demand-supply gap for asset-based, commodity-linked financing requires specialized skills and networks in the commodity sector, less common among general private lenders. For instance, its vital to understand commodity production cycles, break-even points for various operators, local credit market conditions within countries (which varies from Indonesia to Malaysia and for that matter Sub Saharan Africa and Eastern Africa.) for each commodity sector, etc. Paramount, however, is to be part of the commodity eco-system to both originate deal flow and also risk monitor borrowers through a well-connected network of off-takers, contractors, suppliers, other servicers, etc. Concurrently, lending into this sector affords unique (not available to generalist private creditors) structural upsides e.g. share of marketing fees, assured offtakes at predetermined prices etc., which provides a boost to IRRs as well as lowers risk through early repayments, etc. Therefore, this allows commodity-sector credit specialists to lend to small and middle market operators along the commodity value chain, below the radar of banks and outside the core competency of generalist private creditors. While the overall climate of declining prices and margins for commodities is discouraging, Asia and particularly South East Asia are expected to thrive on its own economic growth (the fastest globally, 6.5% for 2018-2019 per IMF/World Bank) and intra-regional trade to spur commodity-linked growth initiatives. Positive undercurrents from rising consumer demand, rapid urbanization, China’s ambitious One Belt One Road program, reformist political agendas and stronger fiscal situations (since the 1998 Asian financial crisis) should continue. The move from globalization to localization to feed local Asian consumption and the shift in supply chains toward Southeast Asia, given the relative rise in production costs in China further promote intra-regional trade. This is exacerbated now with supply chain disruptions caused by global trade wars as manufacturing (e.g. Caterpillar) and trade are redirected within global supply chains to overcome rising tariffs to economies producing similar goods, benefitting Southeast Asia (e.g. Indonesia, Vietnam, Cambodia, etc.) more than others. While Asia receives a lot of attention for valid reasons (accounting for 60% of projected growth in global trade), Africa’s vast natural resources and its fast-growing economies driven by a young population will continue to invite high levels of Foreign Direct Investments to propel growth further. One might speculate that Asia and Africa’s promise in terms of trade volumes and need for trade finance could lure back (European & Middle Eastern) banks that fled the scene. However, deepening negativity around trade, might dampen their initial enthusiasm (since the global recovery in late 2015) for trade finance and by extension, asset-based finance. Moreover, stricter forthcoming Basel IV rules could continue to act as a deterrent just as the current restrictive Basel III regulations for both SME lending and trade finance. Thus, banks’ wavering interest and increasing regulatory pressures (including AML/KYC requirements) could potentially leave more opportunities for alternative specialists in trade finance to provide commodity-linked asset-based finance. From investors’ standpoint, as financial assets begin to lose support of accommodative monetary policies globally, assets that are driven by the real economy gain favor. Taking a conservative stance, gains from real-economy assets that afford more upfront contractual current income/yield are more attractive than uncertain capital appreciation driven by market action or technical bids by taking equity risk (in miners/producers/traders) or direct commodity risk. In this regard, lending to a niche sector linked to the real economy (e.g. commodities) that is facing a secular demand for capital in the broader South East Asia market (ex. China) or Sub Saharan Africa and Eastern Africa that are enjoying growth tailwinds, offer a differentiated and less correlated return stream, and a premium for capital (typical targets 12-15% annualized net IRRs) for mostly senior positions in the capital stack, which stand out in the current landscape of other yielding opportunities or over-crowded direct lending options available to US institutional investors. ÊMA remains alert to the new world order by identifying opportunities that can strategically capitalize on trade tensions, supply chain disruptions, protectionism, etc. and provide real solutions in the real economy for real money. ÊMA continues to conduct independent investment audit on various such alternative strategies offering more predictable, visible, and sustainable returns, to the benefit LPs’ portfolios. Stay tuned.